Traveling to New York? This is the right spot on the web to find locations to swim in New York. Every day you are not swimming you will be losing precious time to boost your skills a be a better swimmer! No additional excuses!. Please get in touch with the facilities to check which activities are offering and their timetables. Please check the nearest Outdoor Pools in New York or Contact us to ADD IT. It's no cost! Looking for Swimming Pools? A lot of of them belong to gyms or sport centers which also offer lessons. Thanks to some new Outdoor Pools in New York submitted every single day, Swimia.com is increasing daily the number of stored pools. Please don't hesitate to contact us if you discover any inaccurate or incomplete information. Are you on holiday and would like to keep fit and wholesome? 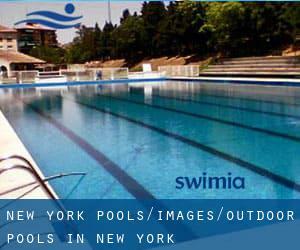 Swimia.com offers you the straightforward and quickest way to obtain pool near New York. Let us tell you a secret to switch off whilst you might be in New York City: just select a Pool in New York City and plunge into the water! There's no additional efficient method. Swimming is a excellent concept to keep your body active during your visit to Queens (New York), or even for anyone who is a local. Swimia assists you to find your closest Swimming Pool in Queens. Without a shadow of a doubt, swimming in Bronx is the best way to unwind right after function. Take a couple of minutes to browse Swimia's catalog to find a Swimming Pool in Bronx. Whereas Staten Island is among the six most populous cities in New York with nearly 468.730 residents, you shouldn't miss that one if you're going to New York. 975 Anderson Hill Rd. , Rye Brook , NY , USA (Postal Code: 10573). Among all the activities supplied by the center, if you are interested in swimming you might get pleasure from 20 yards, Indoor/Outdoor. Just in case you wish to contact this Pool prior to dropping by, we only know the phone number. Hommocks Middle School , Hommocks and Boston Post Roads (U.S. 1 and N.Y. 125) , Larchmont , NY , USA (Postal Code: 10538). Among all the activities provided by the center, for anybody who is interested in swimming you will take pleasure in 25 yards, 8 lanes, Indoor/Outdoor. If you need to get in touch with this Pool, email address and phone number are both number.